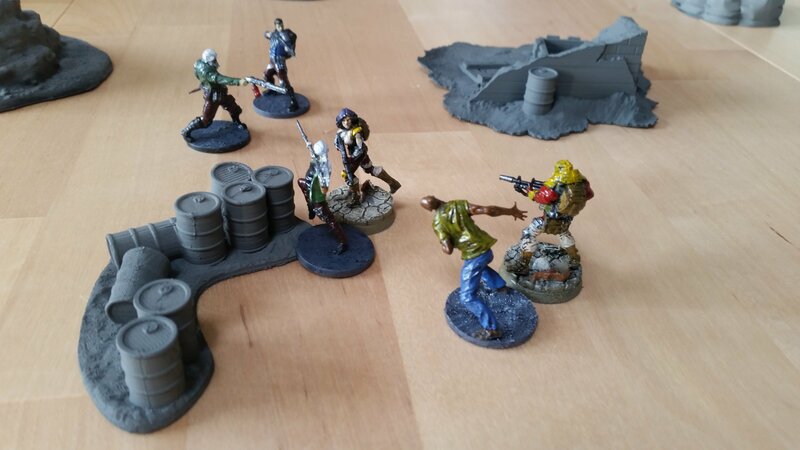 So Mutants and Death Ray Guns is a skirmish game (your army battles your friend's army) where you can use your own miniatures. You get a team of 5 (standard size) and the game is based in the wasteland, a similar universe to Fallout. The game is easy to pick up and is very narrative driven. By that I mean it's likely to create a very entertaining story as you play. When creating your team, you roll dice to see what sort of skills, equipment and mutations, etc your characters are blessed or cursed with. Ordinarily we have objectives in missions and there are multiple missions for a campaign but keeping it simple for the first game. A simple team deathmatch. Battle report will commence in the next post..
Two turns in and no casualties, Bishop and Turdo make their way up the left flank, with their leader, Ezzy following and calling out orders to hurry them along. Meanwhile Boris has spotted an interesting rock that has taken up all of his attention and so Bob leaps towards the enemy on his own. Alex takes a shot on Bob but fails to hit but the toad is pushed out of cover as he jumps away from the incoming bullet spray. Wretched are particularly dangerous in that any living thing coming into contact with one is very likely to contract the deadly Z virus. 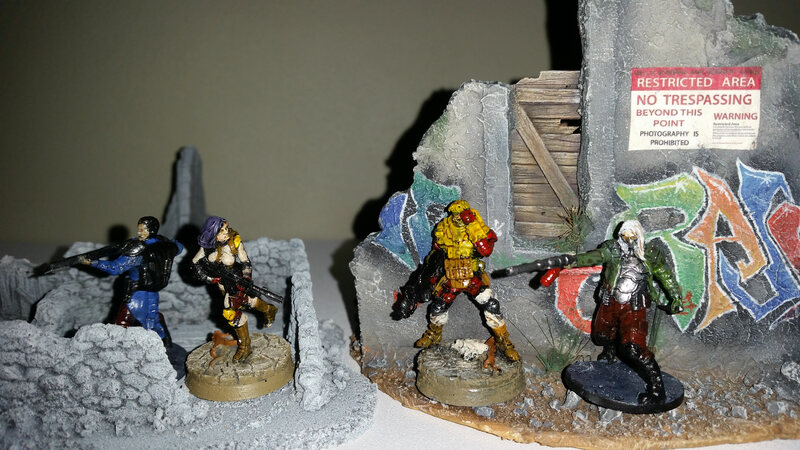 Mathius moves up and opens fire with the SMG on Bishop & Turdo. Bullets tear into the wretched, pushing him back from cover but otherwise seems to have little effect. 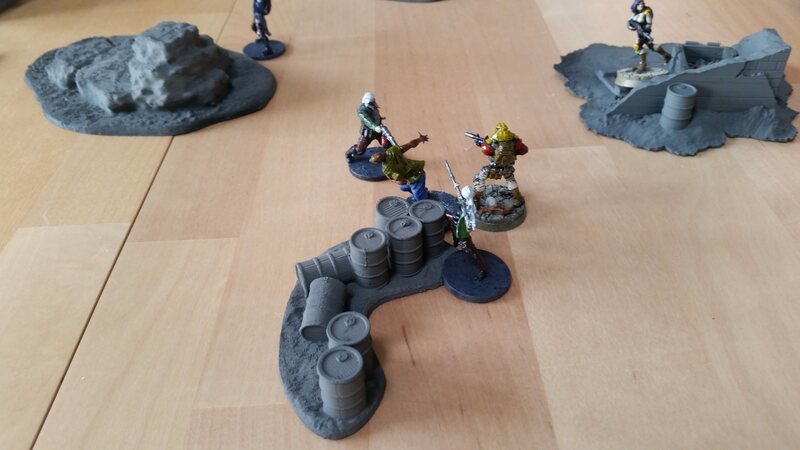 Alex and Minx both take aim on Bob and attempt to take him out with a deadly crossfire. But with what seems to be the worst luck imaginable, both weapons misfire and break at the same time leaving them only armed with their knives. Boris finally wakes up and fires a rocket propelled grenade in Alex's general direction, the blast sending the enemy leader flying into the air and landing on his back, stunned. Seeing an opportunity, Bob leaps into action and jumps onto the downed leader. The last thing Alex sees is is a large set of terrifying teeth, as he tries in vain to fend off the grinning red blob. 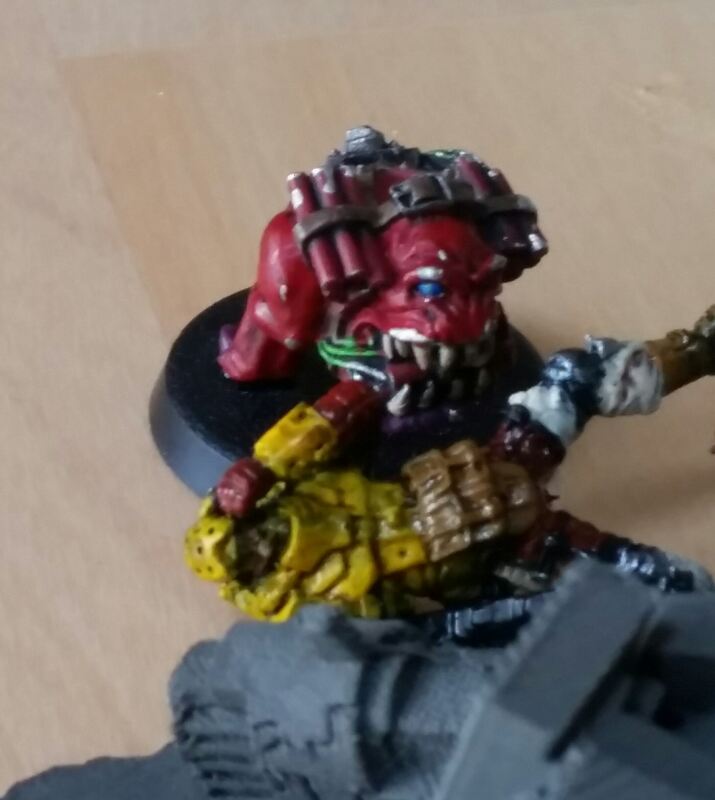 Mathius continues to fire his SMG, just as he lines up his weapon with the rapidly approaching wretched, his weapon breaks as well! Before he gets the chance to curse his awful luck, Turdo bites him, and immediately he feels a terrible illness as he is infected. He manages to push the wretched off but things are going very badly for team, All Human. In a final effort to turn things round, Minx charges at the Misfits' leader who has been steathily hiding nearby and she delivers a devastating deathblow with her dagger. Ezzy collapses to the ground, dead. Her team look on in horror. 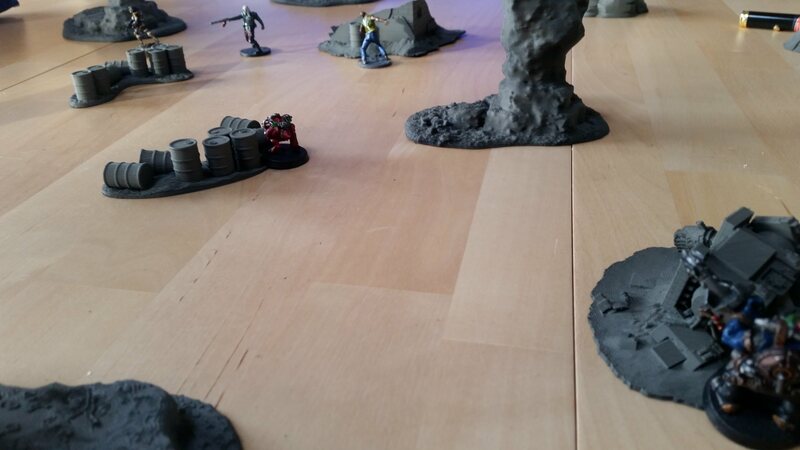 Bishop decides his odds of survival are no longer quite to his liking and immediately flees the battlefield. Turdo retreats to the nearest hiding place and takes cover. 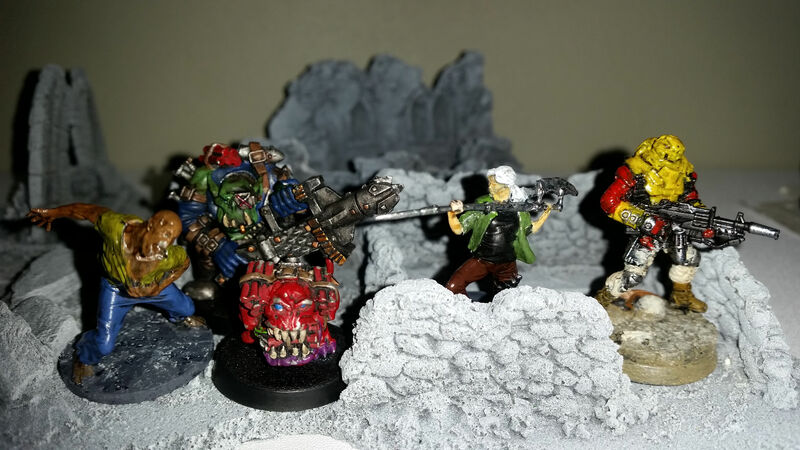 As the remainder of the All Human group close in on the wretched in an attempt to destroy it, Boris decides a bit of friendly fire might be fun, and fires a rocket at the group. 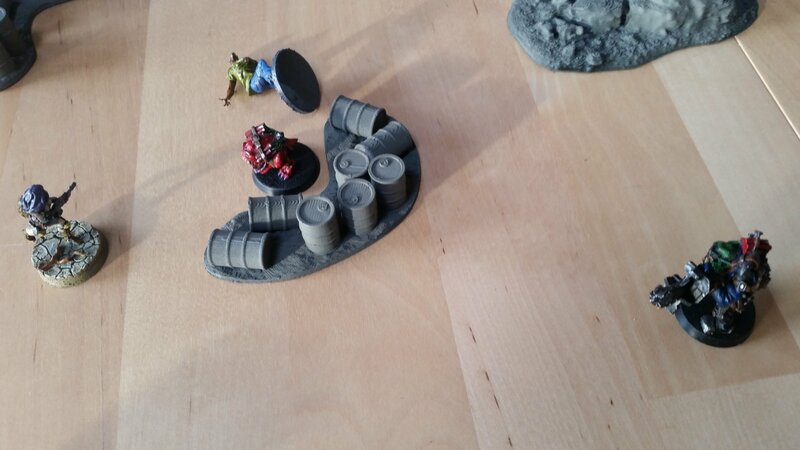 Bossman takes most of the blast force and is blown to pieces while everyone is thrown in random directions. As Mathius attempts to recover himself, once again the wretched Turdo is on him and finally kills him. This leaves Minx on her own with no decent weapon, so after throwing a rock and knocking the wretched to the ground, she decides to run for her life, thus ending the battle. Last edited by Lieutenant Fatman on Sun Apr 08, 2018 6:42 am, edited 2 times in total. Thanks a lot for the write-up, great read. I see the terrain purchases really paid off. Looks like a really interesting game. Probably one that's a bit out of my hands at the moment what with my only miniatures being Dark Souls but I think it is defintely something for me to consider once I get a bit more. Thanks! It's derived from a game called Song of Blades and Heroes where you use a fantasy setting instead. 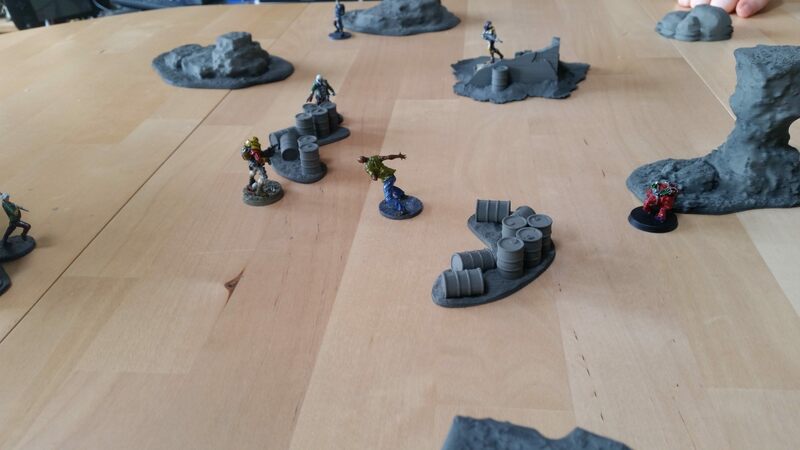 The terrain used here in the skirmish is all 3D printed. 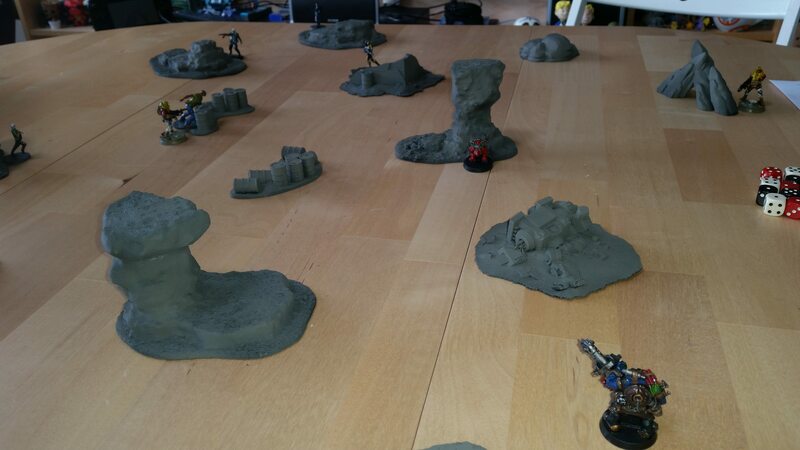 A friend who has a printer offered to print some for me, costs very little to print small bits of terrain off so that's handy. Lieutenant Fatman wrote: Thanks! It's derived from a game called Song of Blades and Heroes where you use a fantasy setting instead. Makes it very tempting to get a printer. Is the material paintable? Should be, it's a type of plastic. In these pictures I've undercoated them all with a grey spray paint, they were black originally. Planning to paint them properly when I get a chance. Maybe next week. Lieutenant Fatman wrote: Should be, it's a type of plastic. In these pictures I've undercoated them all with a grey spray paint, they were black originally. Planning to paint them properly when I get a chance. Maybe next week. Sounds great, would love to see them if you do.